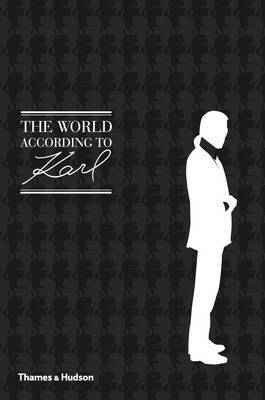 The ultimate repertoire of wit and wisdom from fashion's sharpest pin Karl Lagerfeld is a modern master of couture. He is also famously outspoken: his wise, surprising statements pop up like offbeat news flashes. This collection of quotations pays homage to the legendary eminence grise of the fashion world. Lagerfeld's pronouncements - on fashion, women, art, politics, love, and life high and low - are famously oracular, seized upon by fashionistas, acolytes and sages around the world. Created with the full approval of the designer himself, this cornucopia of Lagerfeld's maxims is required reading for us all today as we negotiate the trickiest curves of modern life. Cultivated, unpredictable, provocative, sometimes shocking, Lagerfeld's `bons mots' are always impossible to ignore. Jean-Christophe Napias is an author, translator and editor of books on dandies, dance music and camp culture. Sandrine Gulbenkian is director of Parigramme, a Parisian publishing house. Patrick Mauries is a writer and publisher of many notable titles on fashion and design, including Jewelry by Chanel, also published by Thames & Hudson.